Scott holds a Bachelor’s Degree in Agronomy (Department of Horticulture) from Michigan State University, and has been in the irrigation business since 1986. Scott has over 35 years of experience in the green industry. 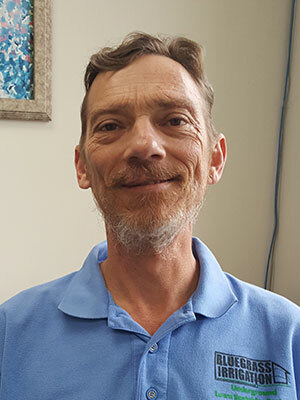 In addition, Scott holds master and journeyman plumbing licenses, is a certified backflow preventer tester, and is certified by the Irrigation Association as a Landscape Irrigation Auditor. 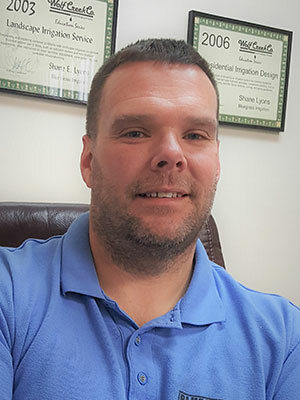 Shane Lyons, our service manager, has been with Bluegrass Irrigation since 1994. He is familiar with all aspects of the business, including installation. He is also a certified backflow preventer technician, and has many years of field experience servicing lawn sprinkler systems. Need help with your system? Shane is your “go-to” guy. 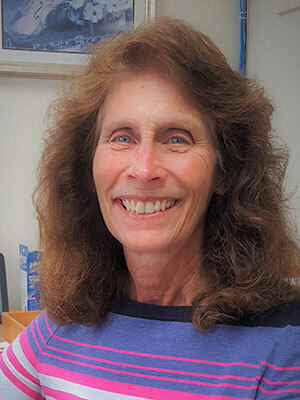 Beth earned a Bachelor’s Degree from Ohio State University, and has been involved with office management for over 30 years. Beth “dots the I’s and crosses the T’s” for all of us. She’s the person behind the scenes, with passionate attention to detail. Beth’s the heart and soul of the office! Sean has extensive experience in sales, service and design of irrigation, lighting and drainage systems. He has been with Bluegrass Irrigation since 2006. Sean has a B.A. from Berry College and has been in the irrigation industry since 1992. Need a quote for your lawn irrigation project? Need to solve a drainage issue in your yard? Need the "Wow!" factor for your lighting project? Give Sean a call today! The Lexington Fayette Urban County Government requires all contractors to be officially registered with the Department of Public Safety, Division of Building Inspection. To become registered, contractors must submit proof of appropriate insurance, proof of licensing (for their particular trade), and use contracts approved by the city. Also, registered city contractors agree to participate in arbitration through the Home Builders Association or the Better Business Bureau in cases of unresolved contract disputes. Bluegrass Irrigation has been registered as a specialty contractor since November 28, 2000 (Reg. No. 10012). Bluegrass Irrigation has eight certified technicians capable of testing and repairing backflow prevention devices. These devices insure protection of our water supply, and by code must be installed on every system. In addition, they must be tested annually, as required by the Water Company. We endorse this policy and follow these guidelines to insure the safety of our water supply. 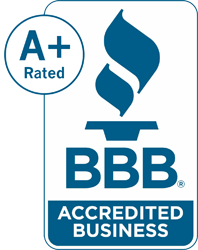 Unlike most companies, we have three licensed plumbers on staff. Irrigation systems are a blend of both plumbing skills and horticultural knowledge. Why not choose a company that is strong in both of these areas? Bluegrass Irrigation is fully insured for workers’ compensation and general liability ($1,000,000.00 coverage). Certificates of Insurance are available upon request. Bluegrass Irrigation maintains a full-time office and service staff to help handle your needs quickly and efficiently. We understand service, which explains why most of our original clients are still with us today. In addition, many of our clients have chosen us to be their service provider, even though we did not install their system originally. We service all brands of irrigation products for your convenience. We also provide 24 hour paging in the event of an emergency. Bluegrass Irrigation is the only irrigation company in Central Kentucky to be distinguished as a Rain Bird Select Contractor. 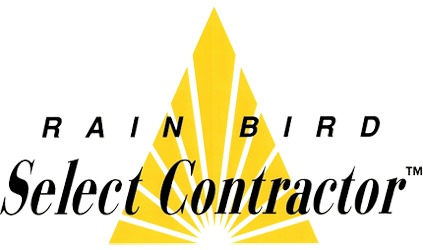 Select Contractors are independent, professional contractors that Rain Bird Corporation has identified as providing a high standard of quality and workmanship. Rain Bird Corporation is one of the largest manufacturers of irrigation products nationally and internationally. Bluegrass Irrigation is a Certified Irrigation Contractor through the Irrigation Association, a national association serving the irrigation industry. Scott Schumacher is a Certified Landscape Irrigation Auditor through the Irrigation Association, a national association serving the irrigation industry. 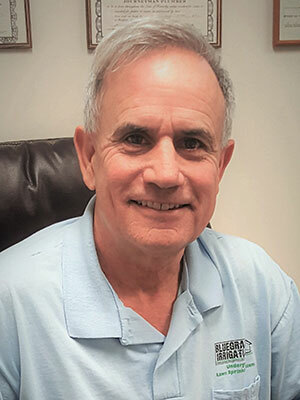 Scott Schumacher, Owner and President, completed a certification program that earned him the EPA’s WaterSense Partner label, demonstrating his commitment to promoting knowledge of water efficient techniques and to water-efficient irrigation. 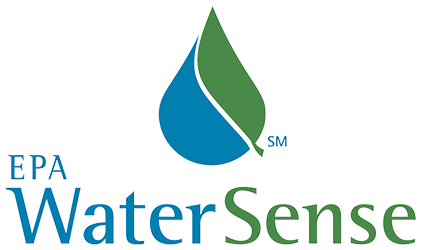 WaterSense is a partnership program sponsored by the EPA to promote water-efficient products and practices across the country. We are members of the National Association of Home Builders, the Building Industry Association of Central Kentucky, the Irrigation Association, the Better Business Bureau of Lexington, and the Bluegrass Cross-Connection Prevention Association.